Friends of the Earth welcome Premier Andrews delivering on the election promise to ‘rip up’ the worst aspects of the Coalition government’s anti-wind farm laws. “Labor’s announcement on wind energy is a good first step for getting Victoria back on track with renewable energy,” said Friends of the Earth’s renewable energy spokesperson, Leigh Ewbank. “Labor’s pledge to exempt community-initiated projects from wind farm restrictions is sensible policy. Yet, the blanket bans on wind farms still prohibit projects that enjoy strong community support. 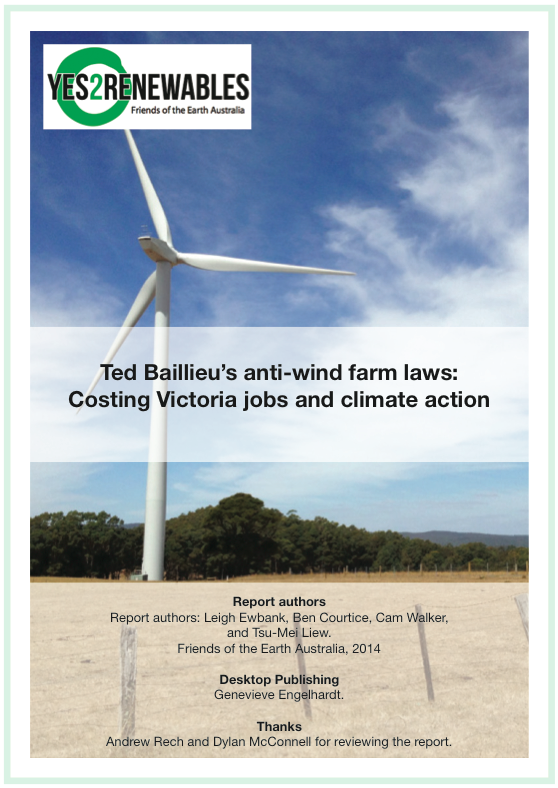 ”The Coalition government’s anti-wind farm imposed blanket bans on wind farms in the windiest parts of the state, including the Macedon/McHarg Ranges and Bellarine Peninsula. Most controversially, they gave householders the right to veto wind turbines with in 2km of a residence. 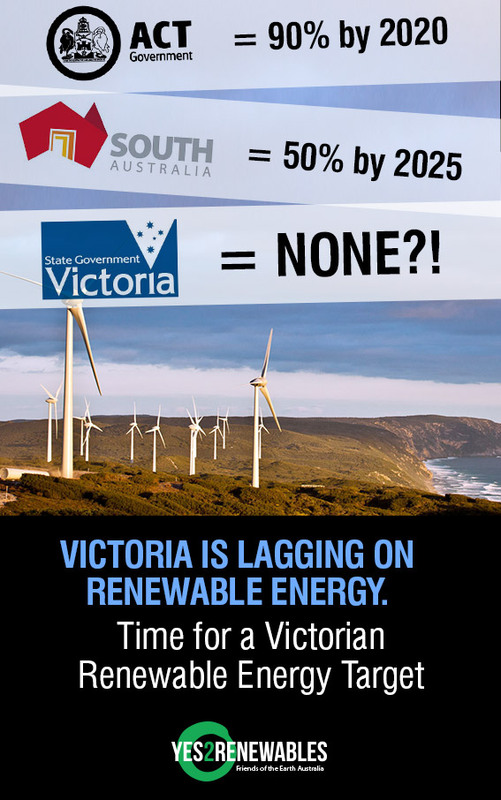 “We look forward to Labor’s plan to drive the rollout of renewable energy in Victoria now that it has shown intent to remove barriers to the sector,” said Leigh EwbankVictoria doesn’t have a state Renewable Energy Target and is lagging behind states that do. 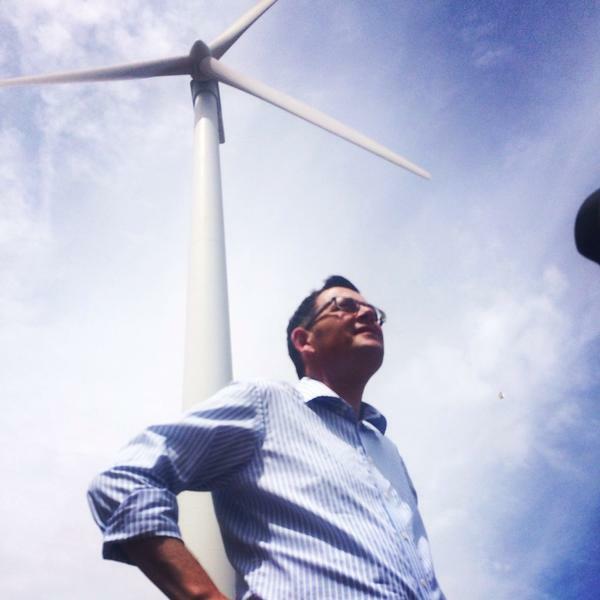 Friends of the Earth have called Premier Daniel Andrews to follow the lead of other Labor states and commit a Victorian Renewable Energy Target that works alongside the national scheme. “Victoria desperately need its own Renewable Energy Target,” said Mr Ewbank. “The ACT has a renewables target of 90% by 2020. South Australia’s target has been lifted to 50% by 2025. Victoria doesn’t have a target and it’s costing jobs. Daniel Andrews needs to do more than make announcements. He has to show that his government is fully supportive of renewables and will do all it can to remove hindrances based on ideology and pseudoscience. First of all, Daniel Andrews has to do what the unions tell him. I wonder if the coal miners and power station workers unions support the introduction of renewable energy and the phasing out of coal fired power stations. Secondly, supposing he does fully support renewables, ie. wind power. is he going to introduce a state based RET, is his Government going to pay the subsidies, because the Commonwealth Government is going to cut the LRET. Besides, no one is stopping wind power companies from building wind farms, many have already been approved, but they won’t, because wind farms are not viable without the subsidies. You are backing a loser, Blair!